Nearfm have produced a ten part radio series reinterpreting the Dublin: One City One Book ‘If Ever You Go: a Map of Dublin in Poetry and Song’ edited by Pat Boran and Gerard Smyth. 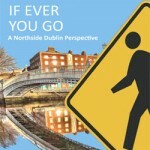 This series takes a unique look at the book from a northside Dublin perspective by focusing on the poems, poets and songs associated with Northside Dublin. The series features many well known poets reciting and being interviewed about the poems they have featured in the book including Paula Meehan, Theo Dorgan and Dermot Bolger as well as up and coming poets such as Colm Keegan, Jessica Traynor and Alan Jude Moore. Contributions also come from Poetry Ireland, Dedalus Press, Dublin City of Literature, Trinity College Dublin and St David’s Boys National School in north Dublin. There are also well known ballads performed by Gerry Cooley, Vincent Smith and Stephen Heffernan. Poetry recital contributions for the series were made by Mary McNamara and Michael Sharp from the Near Drama Company.